I remember a song from my childhood in Trinidad that translated in English to “Just give me a kiss, just a kiss do do”. Do you have the complete lyrics in English and French Creole to this song? The term “do do” in Trinidad means darling. I only recall some of the patois phonetically so it may not make any sense, “Bwen whey a ti bo, a ti bo do do y bwen bwen ba yer do do” and I am not sure whether it is a child’s or a folk song. I did meet someone from Mauritius who knew the exact same song. Thanks for all your help. If anyone can help, please comment below or email me. Thanks in advance! This article was posted on Monday, July 16th, 2007 at 12:31 pm	and is filed under Canada, Children's Songs, Countries & Cultures, Creole, Folk Songs, France, French, Languages, Mama Lisa, Mauritius, Music, Questions, Readers Questions, Trinidad and Tobago, Trinidadian Children's Songs. You can follow any responses to this entry through the RSS 2.0 feed. You can leave a response, or trackback from your own site. I’d skipped this one. Here is the version I have. Par pitié, par humanité, ouvre la pot’ ban moin. Si fille a aimé moin, y a ma’ché derriè moin. Nomm la prend poignard a ti pou i poignardé moin. “Give me a little kiss, two little kisses, three little kisses darling… give me all that to soothe my heart. Knock knock, who’s knocking at my door? It’s me, love, it’s me sweetest sweet bread, the rain soaked me down, please open the door. If you’ll love me you’ll follow me. Monique was nice enough to make a midi of Ba moin en ti bo for us to listen to the tune – click the link to hear it. Thanks for the lyrics, Monique. When I first read the words I was not sure if the song was the one I remembered, but when I listened to the midi file I heard the same tune from my childhood. I had almost given up hope. Thanks again. Almost all of the Trinidarians that I met in my childhood spoke Creole. It is too bad that now it is almost a dead language over there, pretty much as it is here in Venezuela. looking for a song called “the crawfish song” i’m supposed to sing a solo about it and write a little bit about it..the problem is i can’t find it!! it’s not by elvis or anybody like that. it says Creole Folk Song setting by John Edmunds on my music. please help me!! it’s due by saturday and it’s monday…thanx in advance. 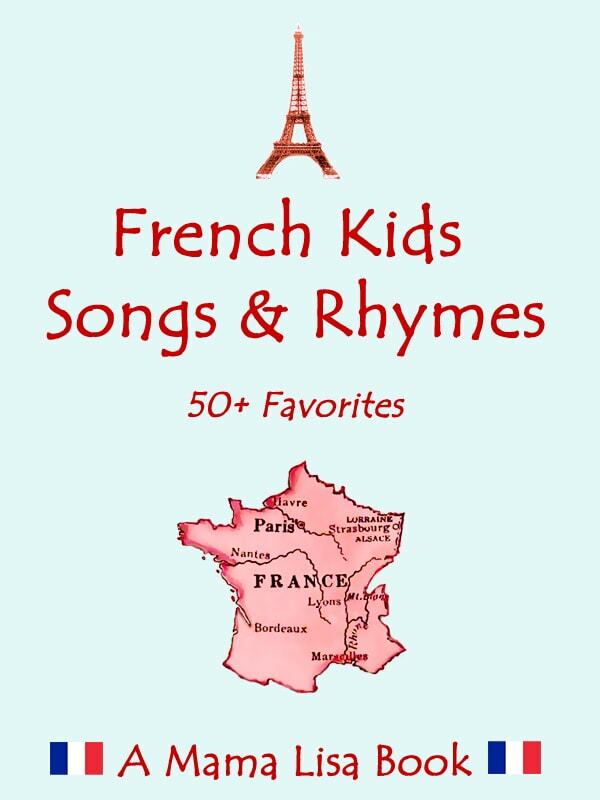 I would love to get the words for “Do do petit po po” My grandmother used to sing it to me as a child. Is that Cajun meaning: ça qu’arrive (? ), mon frère, moi, je reste à Bâton Rouge? I am a Trinidadian who speaks Creole and French fluently, the song that was posted above comes from Martinique and the Trinidadian version is a little different but I understood every word. there are many French and Creole songs that survive to modern times; songs like do do piti popo, Kongo Bara mò, Marie o, ou cho kon difé and many other bèlè songs, the languaguage is being revived by people like myself. for susan the word is doudou more commonly written doux-doux it means darling or sweetheart, dodo is babytalk for sleep. Would you like to post any songs? We’d love to learn more! (Preferably with English translations). I am shcok to know this! I am of Haitian back ground and mainly understood the creol written in this web page. Wow, I can’t believe this!!!! The creol language is currently a dead language in Trinidad? If so the government should encourage other and the young ones in schools to learn the language and revive this great language. I would like you to post the lyrics for the Tobago folk song Tim Bam, the first verse goes like thys , Do you know Mr. John Bull tim bam. That man from Charlotte Ville tim bam, he owe me for something tim bam, he owe me one dollar bill tim bam. << Does Anyone Know the Dutch Song “”Het Maria Klokje””?